Help make giving a part of life. To login please click on the appropriate link below. ACGFund was established to help you maximize charitable giving, year after year. It is an efficient and effective way for individuals, trusts, estates and corporations to enhance the giving experience for themselves, their heirs and the charitable organizations they support. ACGFund's vision of smart philanthropy is based on efficient administration. Your contributions are pooled to reduce operating costs. Investment options are selected by financial professionals for positive outcomes and low cost. At the same time, every donor has his or her own account. Contributions and the results of investment and grant activities are carefully tracked. ACGFund makes it easy to open and add to donor accounts, and make grants whenever you wish. Since financial advisors are often key to the planning of contributions, ACGFund offers investment advisors access, should you wish, to your account. 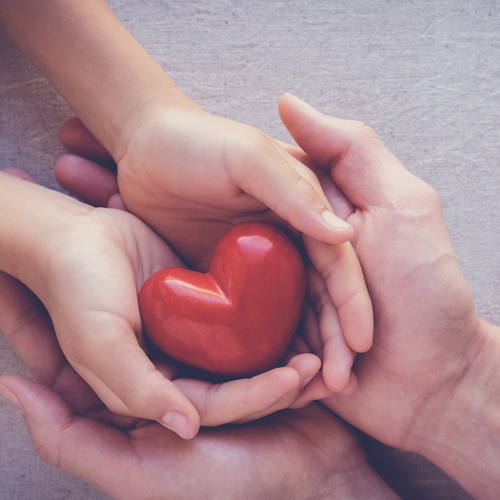 Your advisor can assist in planning future charitable contributions and grant requests as well as obtaining advice on current investment options. Advisors Charitable Gift Fund is focused on you. We serve your giving interests and help maximize the mission accomplished by the nonprofits that receive your grants. This is important. Your contributions will go to charities you recommend for grants. As charities change their focus, you can change your grant recommendations. Since ACGFund is not associated with a particular charitable organization, you can advise us to make grants to any approved public charity. While there are a number of donor advised funds available, ACGFund is a truly independent option. It is not related to a mutual fund, broker or bank. Its directors are free to select from the universe of investment options to maximize its donors’ legacies. ACGFund exists to simplify your charitable giving. You and those close to you get to recommend which charities beneﬁt from your grants.